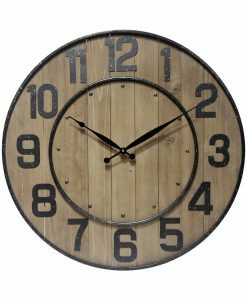 Rustic charm made affordable! 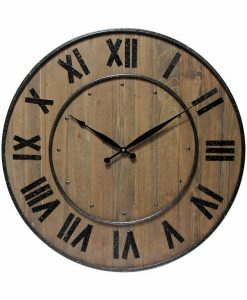 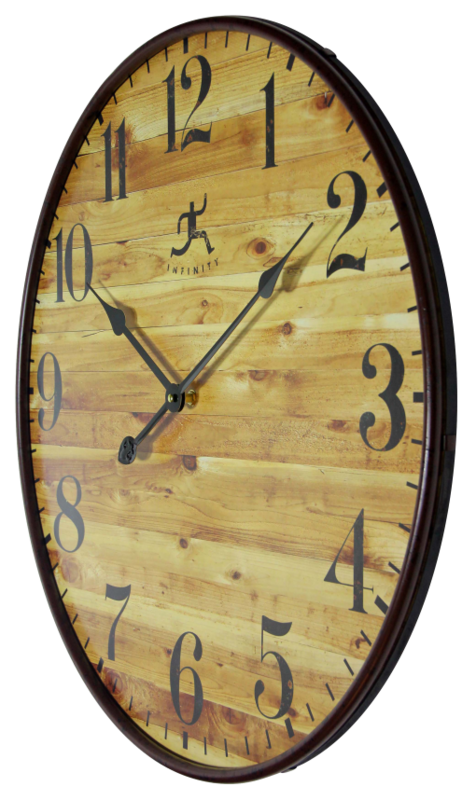 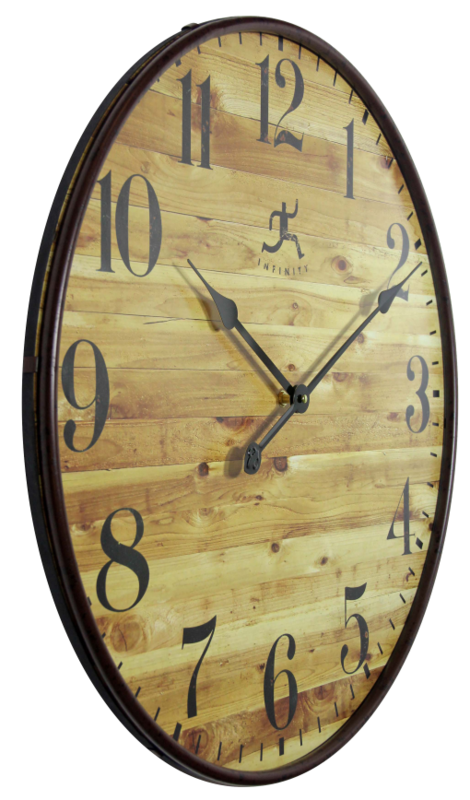 The Eaglewood clock boasts a natural wood design and makes you feel as if you are in a far off log cabin by the lakes, away from all the hustle and bustle of the city. 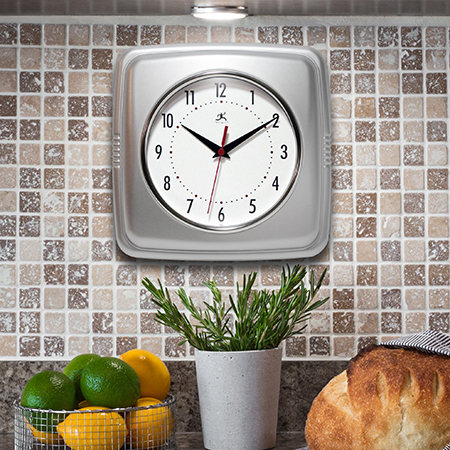 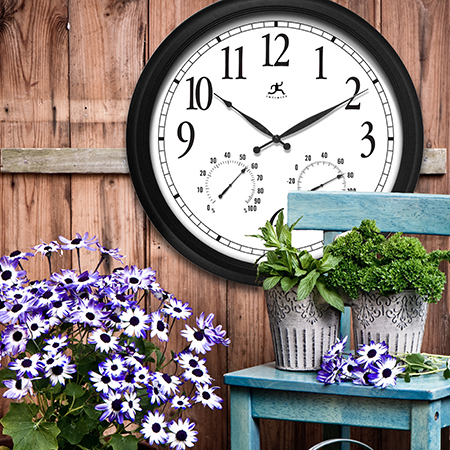 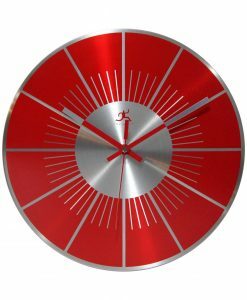 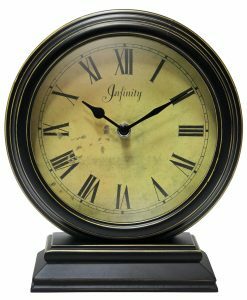 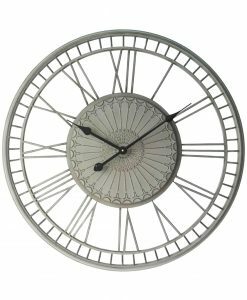 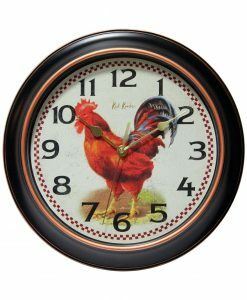 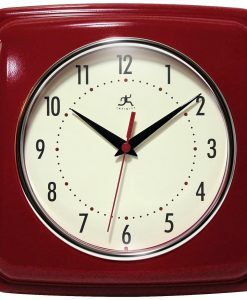 Big and bold, this decorative wall clock is the perfect indoor room clock. 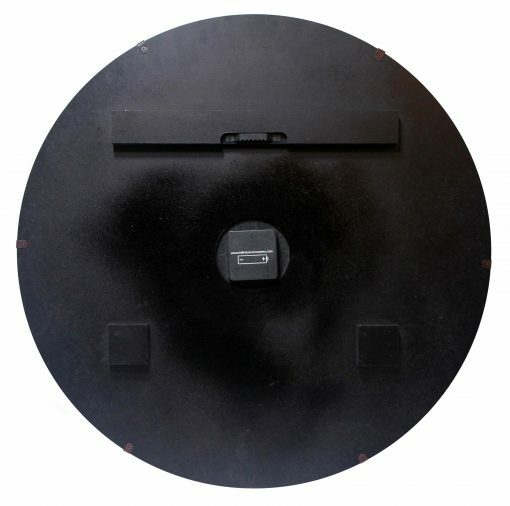 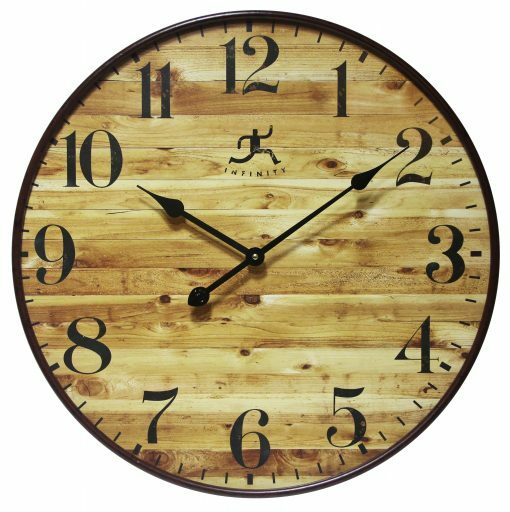 All of 24 inches wide and 1.5 inches deep, the earthy wood is framed by a simple and sturdy ring made of black metal. 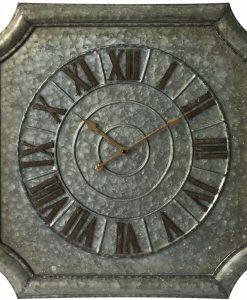 Black metallic hands tell the time in traditional black numbering which is easy to read. This contrast of natural wood and metal make it the perfect ornament for your wall décor. 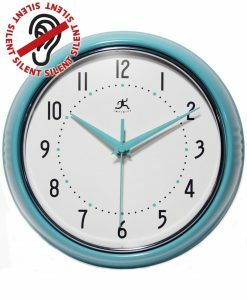 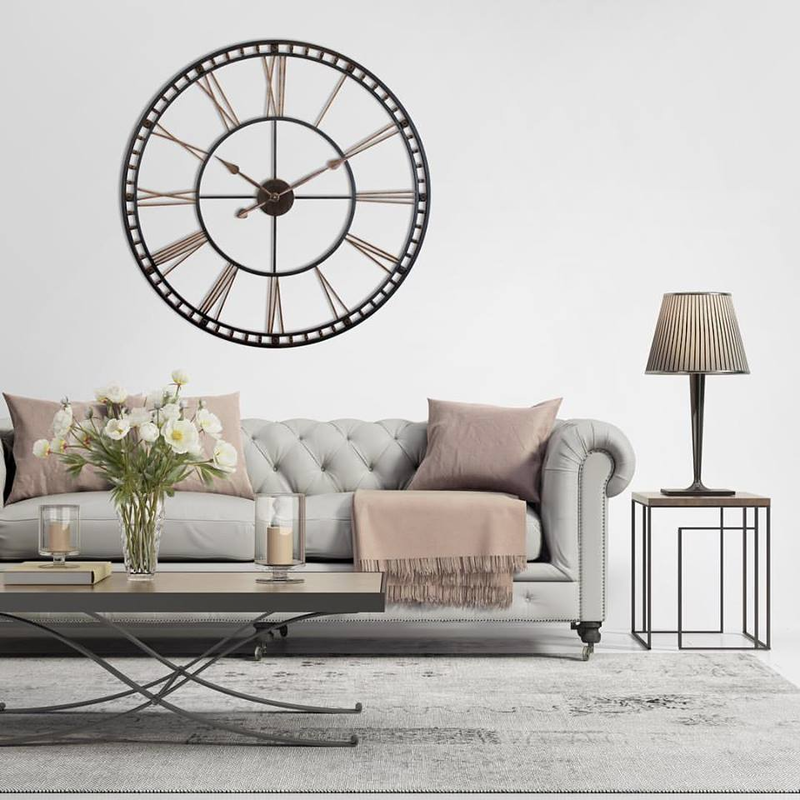 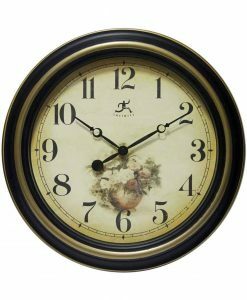 As a living room clock or bedroom clock, it is harmoniously paired with light hued oak furniture or even modern furniture with pastel coloring. 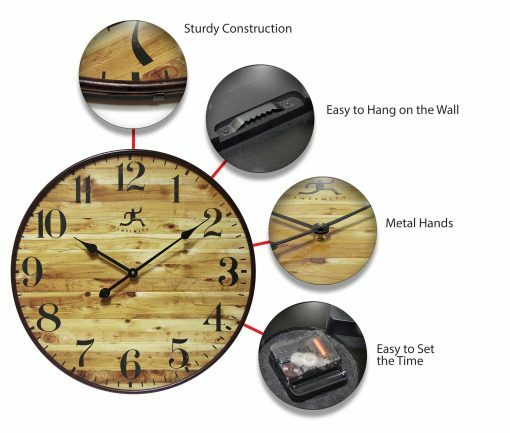 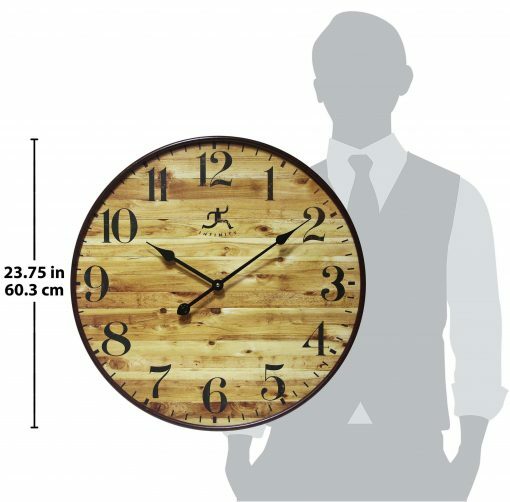 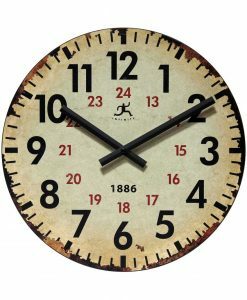 Use it as an office clock, where wood is the material of choice. 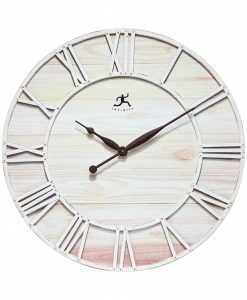 This time piece elevates time keeping to a rural art form, giving the onlooker a sense of countryside charm, where there is all the time in the world to unwind. 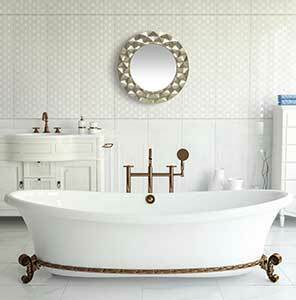 We are of the opinion that this would be a great pick for anyone that is in love with shabby chic styles. 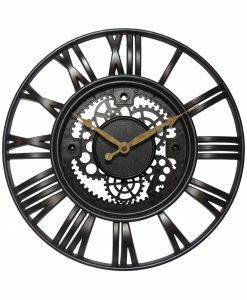 This decorative wall clock comes built with high torque movement mechanism, always keeping you on time with a single AA battery.